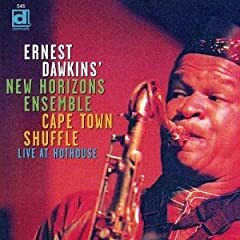 Since 1978, saxophonist Ernest Dawkins has led his flagship band, The New Horizons Ensemble, through myriad jazz traditions, from blues, swing and funk to post-bop, avant-garde and beyond. The Prairie Prophet, their fifth album on Delmark, is dedicated to one of Chicago's most venerated scene leaders, the late tenor saxophonist Fred Anderson, a founding member of the AACM and proprietor of The Velvet Lounge. Exuding an air of celebratory reverence, the session includes homages to spiritual leaders, fellow artistic innovators and those embroiled in global conflict. 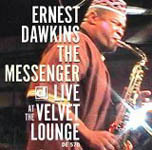 The ensemble has undergone considerable personnel changes since their last long-player, 2006's The Messenger: Live at the Original Velvet Lounge (Delmark). Now a brass-heavy septet, young firebrand trumpeters Marquis Hill and Shaun Johnson serve on the front-line alongside Dawkins and his longstanding associate, trombonist Steve Berry. The elastic rhythm section is composed of new bassist Junius Paul, veteran drummer Isaiah Spencer and part-time New Horizons' guitarist Jeff Parker, who returns to contribute his incomparable cubist fretwork. Currently serving as Chairman of the AACM, Dawkins embraces the association's credo, "Great Black Music, Ancient To The Future" wholeheartedly, drawing from highbrow concepts like the 12 tone row foundation of "Mal-Lester," as readily as primal aspects such as the hypnotic Middle Eastern modes of "Mesopotamia." Espousing the AACM's collaborative ideology, Dawkins insures each of his sidemen are given equal space for self expression, spotlighting their singular contributions as frequently as his own acerbic alto torrents and burnished tenor ruminations. The ensemble's committed performances lend Dawkins' anthem-like tributes a rousing sensibility from the first note of the lilting opener "Hymn For A Hip King," a gospel-flavored jazz waltz dedicated to Martin Luther King, Jr. and Malcolm X. Stirred by a propulsive Africanized groove, "Mal-Lester" evokes the ebullient spirit of late Art Ensemble Of Chicago legends Malachi Favors and Lester Bowie with a string of celebratory solos. "Shades Of The Prairie Prophet" careens with impetuous abandon inspired by Anderson's renowned angularity, a concept pushed even further on the thorny free bop of "Sketches," which explodes in a bristling furor of archetypal AACM-influenced expressionism. Juxtaposing Jazz Messenger-styled swing with quotes from the World War I tune "Over There" and the 19th Century folk song "The Old Gray Mare," Dawkins pulls no punches on the set closing diatribe "Baghdad Blues," invoking revolutionary forefathers like Charles Mingus and Max Roach with timeless anti-war sentiments. For over three decades Dawkins' New Horizons Ensemble has helped foster the creative legacy initiated by Anderson and his Windy City brethren. 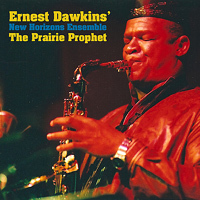 Balancing inside and outside traditions with the same charismatic assurance as the album's dedicatee, The Prairie Prophet is a fitting tribute to a true hero of Chicago's avant-garde. Track Listing: Hymn For A Hip King; Sketches; Balladesque; Mal-Lester; Shades Of The Prairie Prophet; Mesopotamia; Baghdad Boogie. 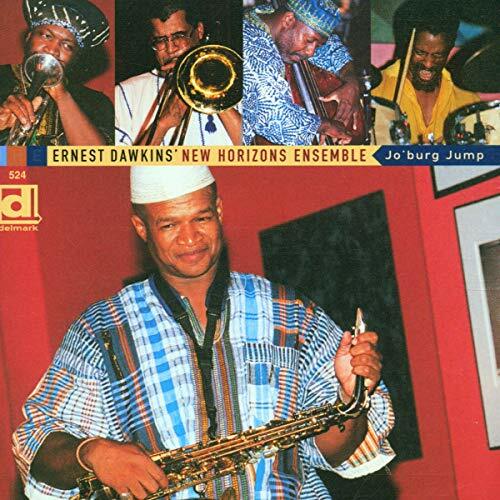 Personnel: Ernest Dawkins: alto and tenor saxophone, percussion, vocals (2, 7); Marquis Hill: flugelhorn (1), trumpet (2, 3, 7); Shaun Johnson: trumpet (1, 2, 4); Steve Berry: trombone; Jeff Parker: guitar; Junius Paul: bass; Isaiah Spencer: drums.